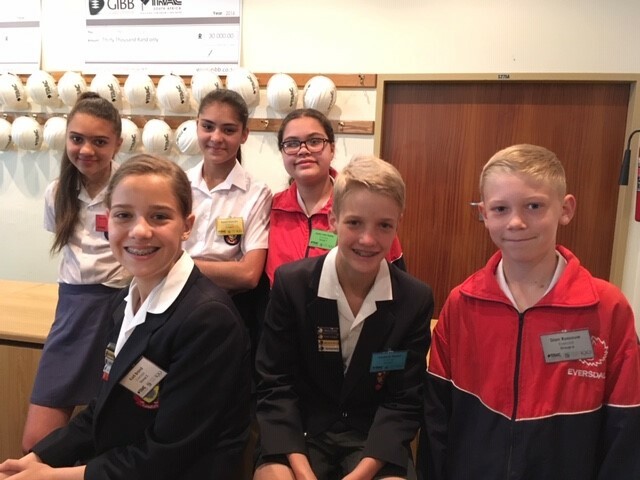 On Saturday 13th October some of our grade 7 learners went to Stellenbosch university to attend a fun day. These learners were some of the 30 learners that attended. Why were they able to attend? They were in the top 30 in the Western Cape region for a Math and Science competition, where 1000 children took part in the region and 5000 children nationally! We are all very proud to say the least. There the learners were taught about Ohm’s and Boyle’s Law and then conducted experiments to prove whether or not these laws were correct. We want to congratulate the 7 learners that attended: Raani Hussein, Jada Lee van Harte, (Fredrick) Rheeder Brand, Karli Brand, Dian Rossouw, Jenna Damant and Kadie Lee Cairncross. We would like to congratulate Jenna Damant on achieving silver for Mathematics, coming in 2nd place nationally! We, too want to personally thank the school for this opportunity and it would definitely be an event that these lucky learners would remember!